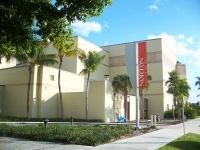 Culture lovers should not miss out on one of Florida's major cultural attractions, the Norton Museum of Art in the upmarket West Palm Beach. The museum's permanent collection is internationally renowned, including European, American, Chinese, and contemporary art, from the Renaissance through to the present. The museum regularly hosts travelling exhibitions and offers educational programmes for children. There is a museum shop and café serving refreshments. Guided tours are available. Photography is allowed in certain parts of the museum, but not in many of the exhibition areas - be sure to ask permission before taking a photo. Opening times: Tuesday, Wednesday, Friday, Saturday and Sunday 12pm-5PM; Thursday 12pm-9PM; Monday closed.